The New Year is on the horizon, and just like clockwork many people are dutifully preparing lists of resolutions that will likely be forgotten by mid-January. 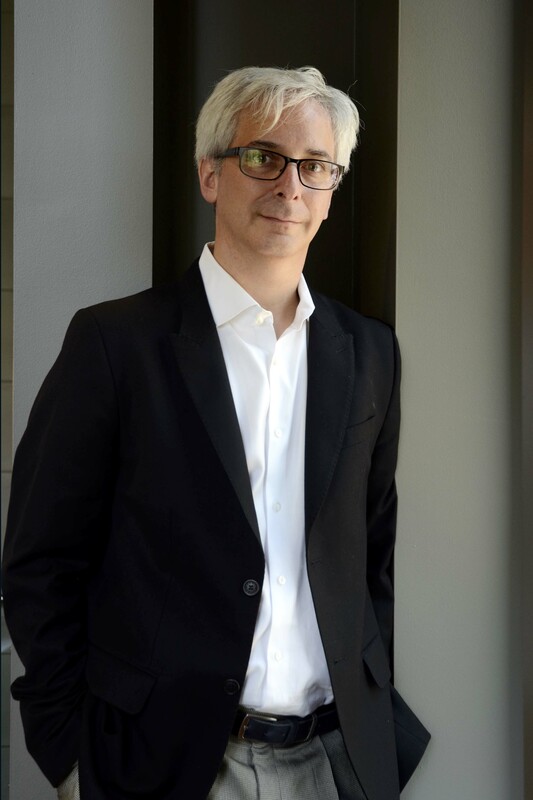 Art Markman, a cognitive psychologist at The University of Texas at Austin, shows us a better way to make lifestyle changes in his new book Smart Change: Five Tools to Create New and Sustainable Habits in Yourself and Others, which was released on Jan. 7. Based on decades of cognitive research, the book shows how to harness the brain’s capabilities to adopt better habits – from becoming more productive at the office to curbing mindless midnight snacking. 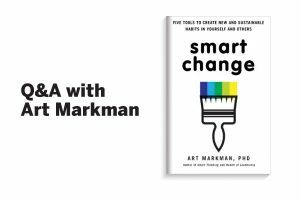 We caught up with Markman for more details about his how-to approach for transforming bad habits into positive behaviors. Smart Change starts with the observation that many people want to change their behavior, but few people really know why their brains make them continue to repeat the same behaviors they have had in the past. The more you understand about how the brain motivates you to act, the more effectively you can help yourself to act in new ways. After exploring the motivational mechanisms in the brain, Smart Change presents five sets of tools that you can use to change even the most persistent behaviors. Why is it so hard to break a bad habit, such as late night snacking in front of the TV? Your brain is optimized to continue doing what you did last time without having to think about it. So, when you decide you want to change a behavior, you are fighting against millions of years of evolution that have created mechanisms that want you to maintain your behaviors. The hardest part about these behaviors is that they are habits, and so they are done mindlessly. You are often unaware of when and why you are performing the behaviors. One of the hardest parts about changing a behavior like snacking is that your first reaction is going to be to replace the behavior with nothing (that is, not eating). But, your brain cannot learn to do nothing. So, you need to start the process by trying to replace an existing habit with a new one. If you typically snack while watching TV, maybe you should take up knitting or do a jigsaw puzzle while you watch. That will keep your hands busy. You provide a free Smart Change journal online, which includes a 14-Day Habit Diary. Could you share some insight into how journaling helps people change their behavior? Much of what you do on a daily basis is mindless. It is hard to figure out the situations in which you are carrying out the behaviors you want to change until you can become more aware of when and where you are doing them. Spending two weeks just observing your behavior gives you a lot of insight into why you do what you do now. Those insights will be helpful when you start generating a plan to change your behavior. el the pressure of being “always on.” How can this book help us adjust a balance between technology and our daily lives? If you feel like one of your habits is to carry your work home with you, then you can use Smart Change to find new habits that will create a separation between work and home. In the book, I talk about how I took up the saxophone as an adult. I had to clear time and space in my life to add a new routine. Thirteen years later, though, my life is richer for it (and I even play in a blues band on Sunday nights). In addition to productivity and time management, how can this book help people with their personal struggles? Your motivational system does not care whether the behaviors you are changing are ones you do at work or at home. Your brain helps you live your whole life. The principles you use to help you to be more productive at work are the same ones that engage to give you a meaningful life at home. The book draws on examples of behavior change at work and at home. In your book, one of the five steps is to engage with people. Why is this important? Human beings are social creatures. We are wired to adopt the goals of the people around us. If you spend time with people who have the habits you want to develop, it will naturally lead you to adopt the same goals. One important thing you can do is to find a mentor—someone who has the aspects of your life that you want. Then, spend time with that person and get to know how that person succeeds. Use their wisdom to help you make changes in your own life. Once your readers follow the steps and successfully change their behavior, how can they pay it forward to others? After you have your own success changing your behavior, it is time to be one of those people in the community who has the life that other people want. When you become a mentor for other people who are trying to change their behavior, it also helps you to recognize aspects of your own behavior that you still want to improve. Being a mentor can give you added motivation to continue to move forward in your own life. What sets this book apart from other behavior modification self-help books? There are a lot of books out there on habits and behavior change. Some of the books describe how people form habits, but they don’t provide specific tools to help you change. Other books present a model of behavior change that is presented as a one-size-fits-all approach to developing new behaviors. Smart Change is different, because it roots everything in the science of psychology. The first two chapters help you to understand the aspects of your brain that influence your behavior. Only then do I introduce tools to help you to change your behavior. Each of those tools has an evidence base behind it. In addition, each tool requires some work. It isn’t enough just to read about changing your behavior. You have to be active in your own change. The book comes along with a Smart Change Journal that you can use to take a comprehensive approach to changing behavior. Finally, the book ends by pointing out that all of the tools that you use to change your own behavior can also be used to influence the behavior of the people around you. Real persuasion does not involve constructing arguments to convince people that a particular course of action is the right one. Instead, it requires the development of a plan that will ultimately change people’s behavior. 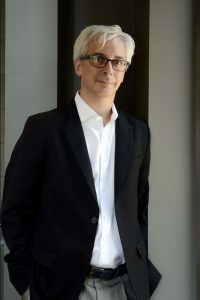 Art Markman is the Annabel Irion Worsham Centennial Professor of Psychology and Marketing and founding director of the program in the Human Dimensions of Organizations. His recent book, Smart Thinking, presents a three-part formula to show readers how to develop “smart habits,” how to acquire high quality knowledge, and how to use that knowledge when it’s needed. He is also on the scientific advisory boards for The Dr. Phil Show and The Dr. Oz Show. This entry was posted in Faculty Books, Uncategorized by Jessica Sinn. Bookmark the permalink.